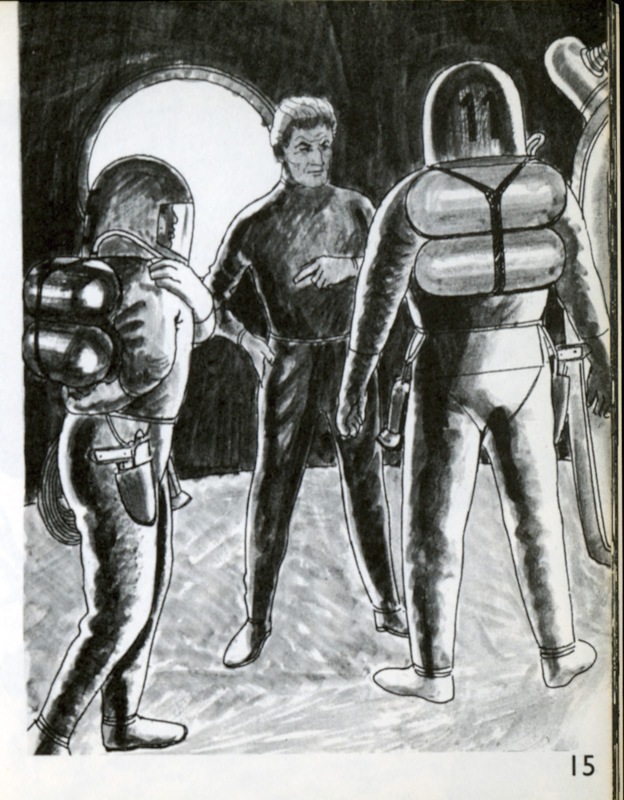 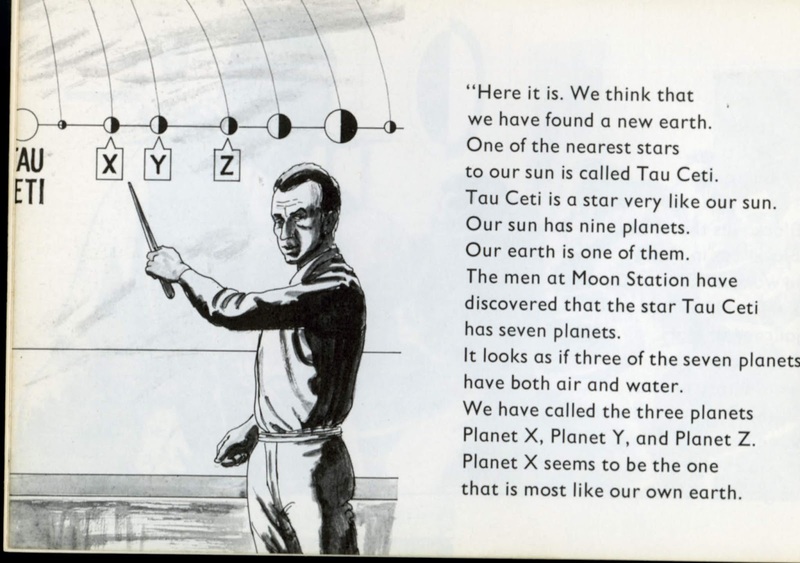 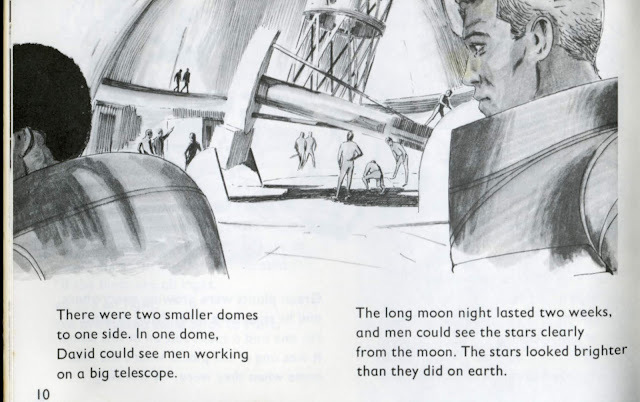 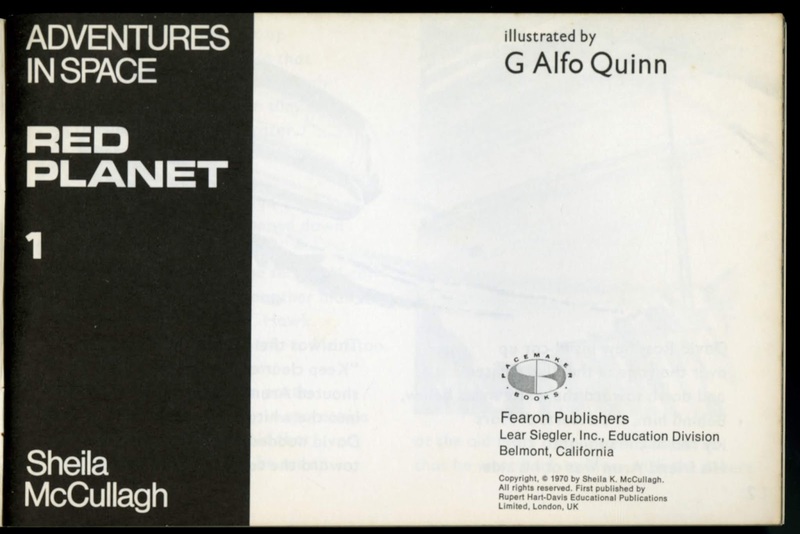 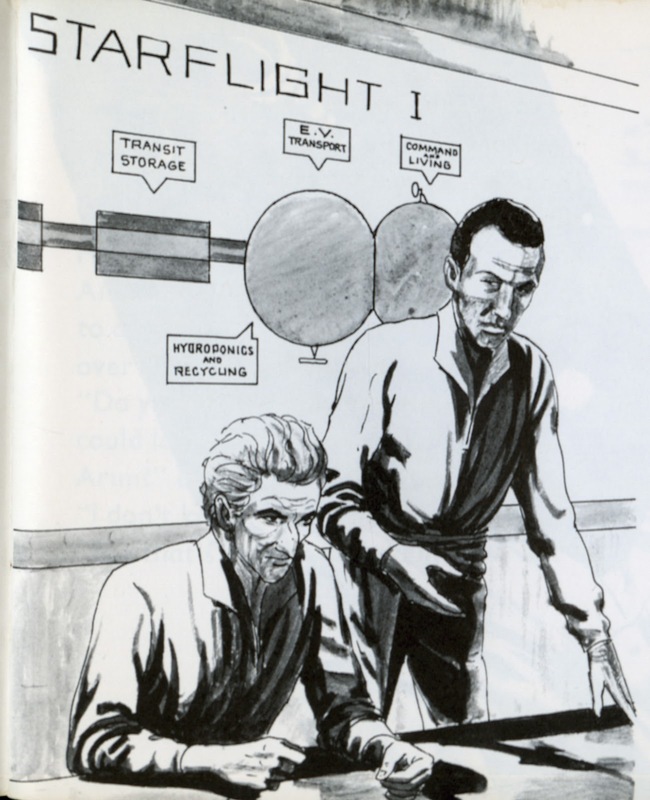 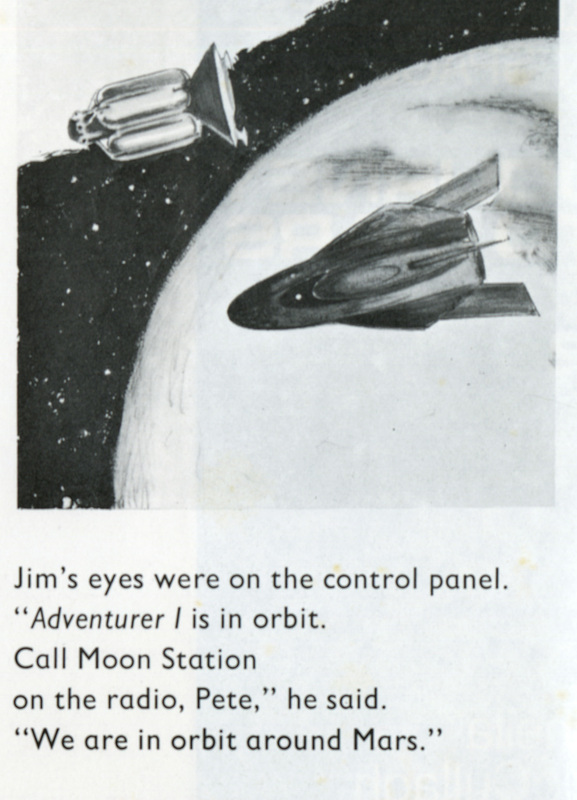 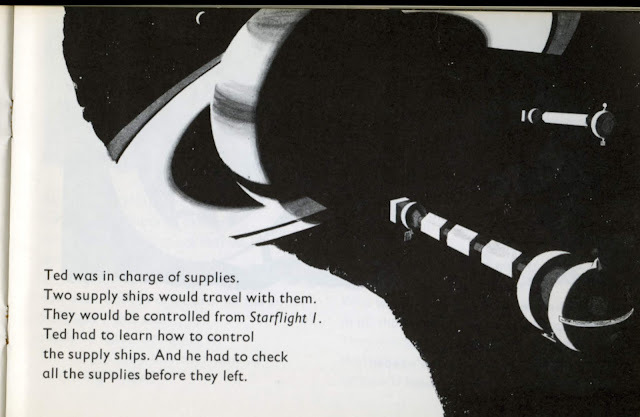 The last one in the series is about interstellar exploration. 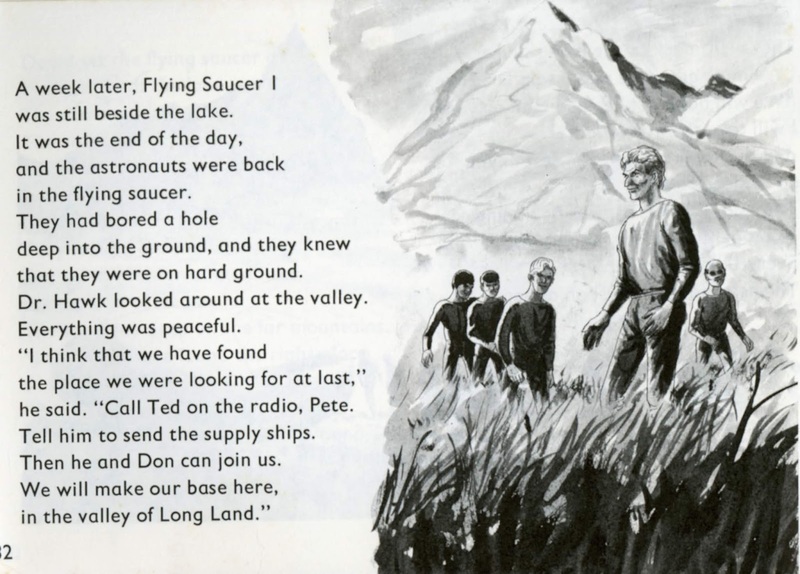 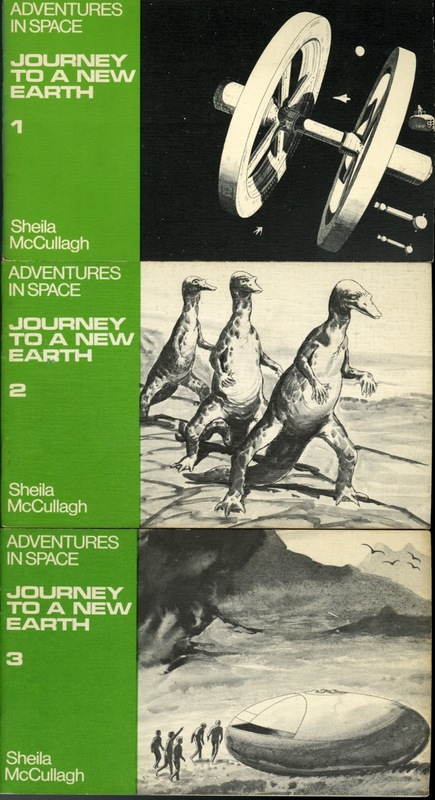 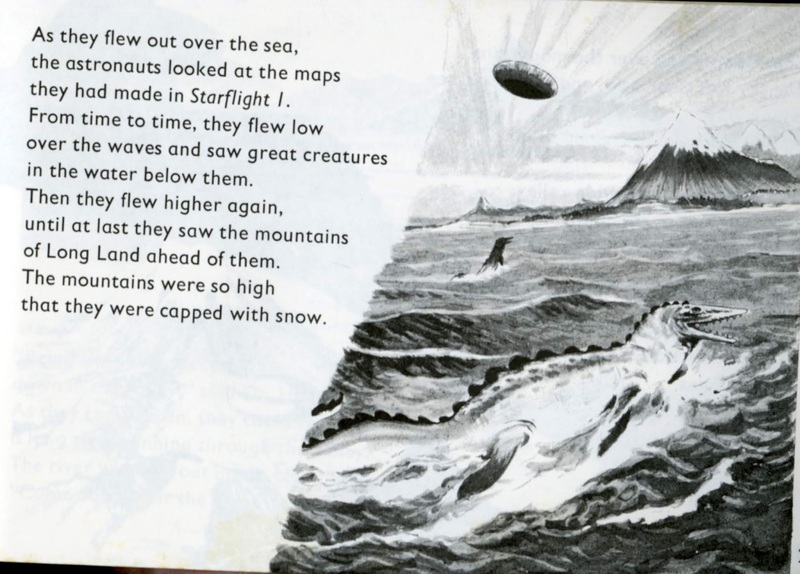 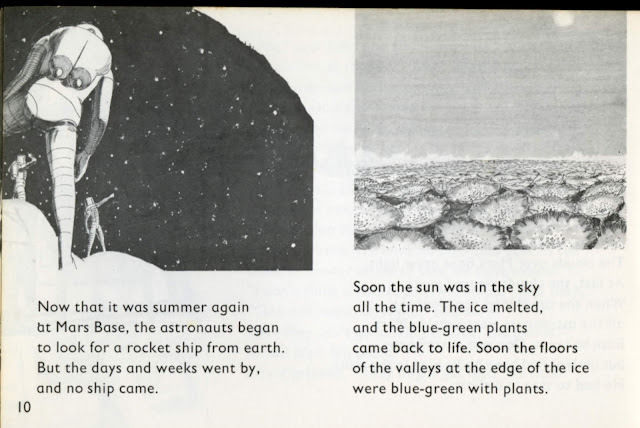 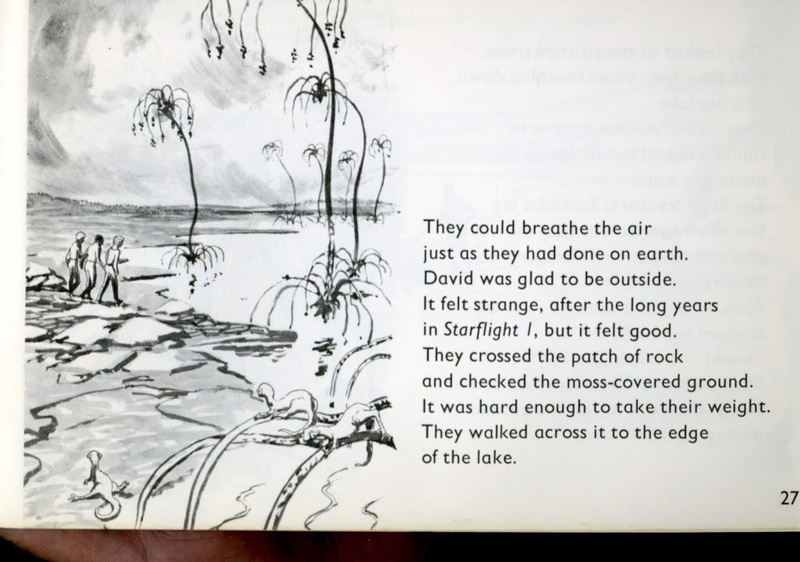 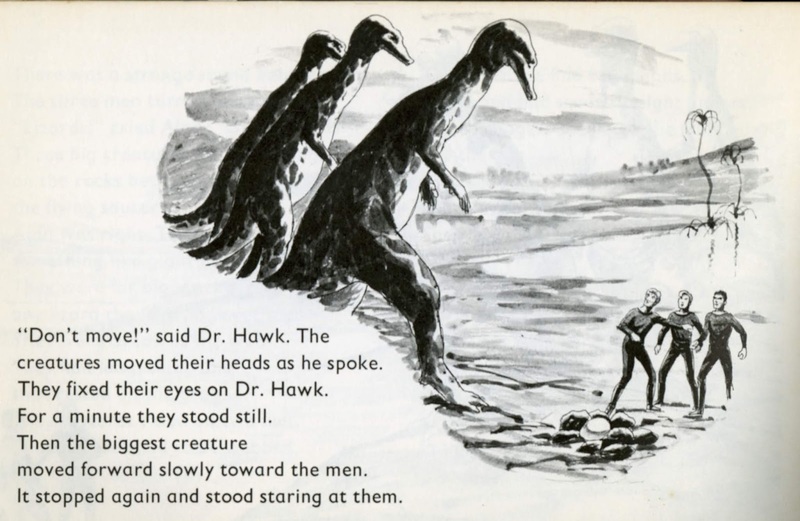 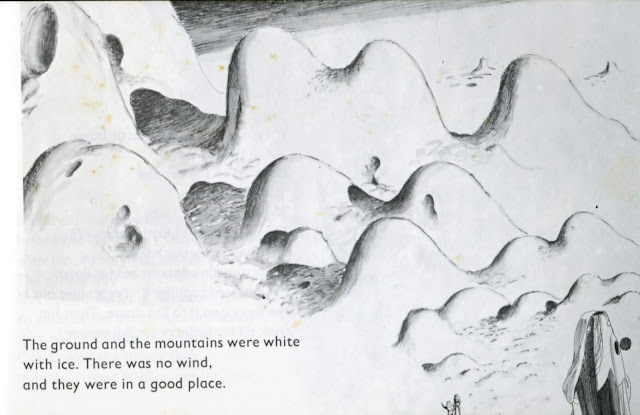 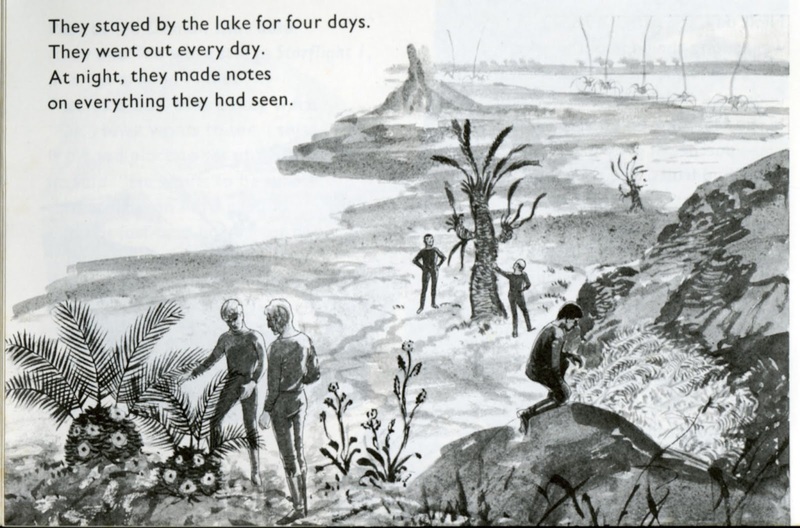 The technology of the voyage is glossed over and they find dinosaurs :) but it is enjoyable to see this kind of journey illustrated for children. 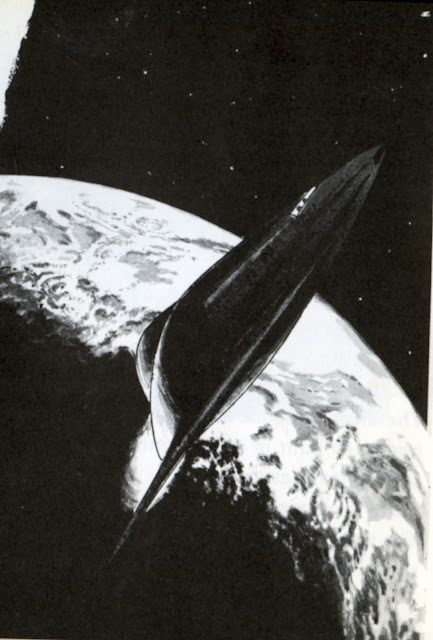 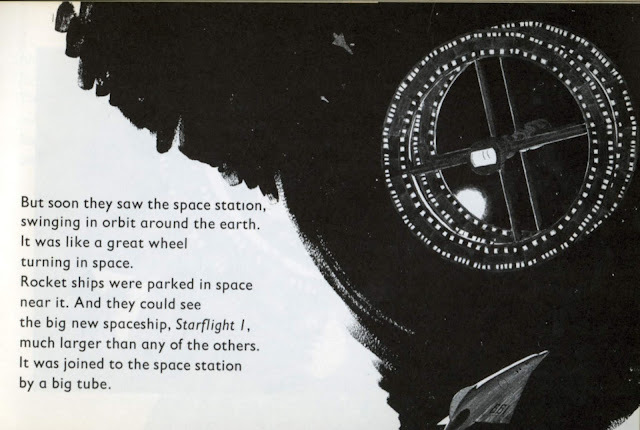 I also like how the space station and their interstellar ship seem very influenced by 2001 designs. 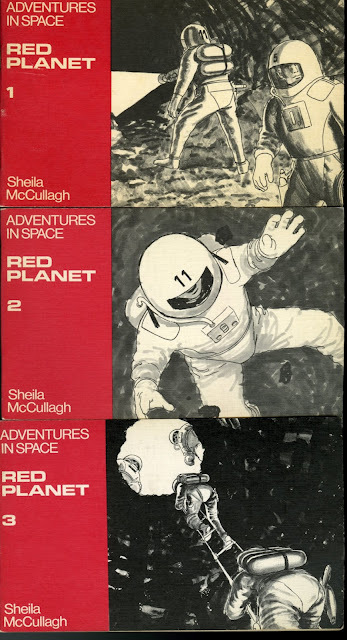 The next in the "Adventures In Space" series is Red Planet. 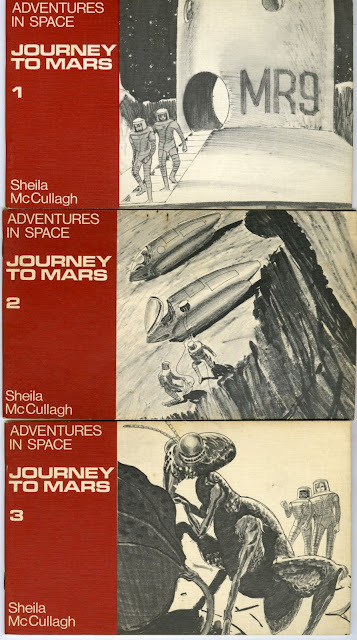 This is the further adventures of the exploration of Mars. 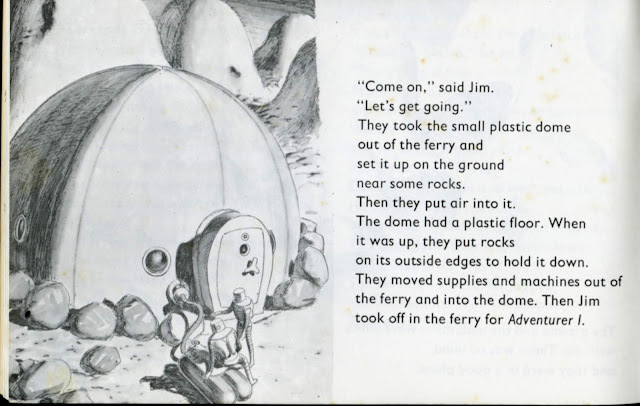 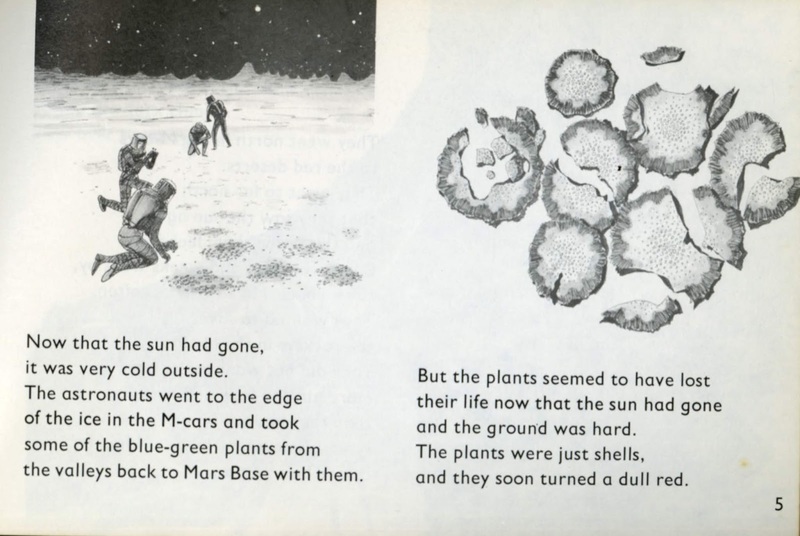 The astronauts explore alien life on Mars. It reads more like a bad science fiction movie, and is my least favorite of the 4 in the series. 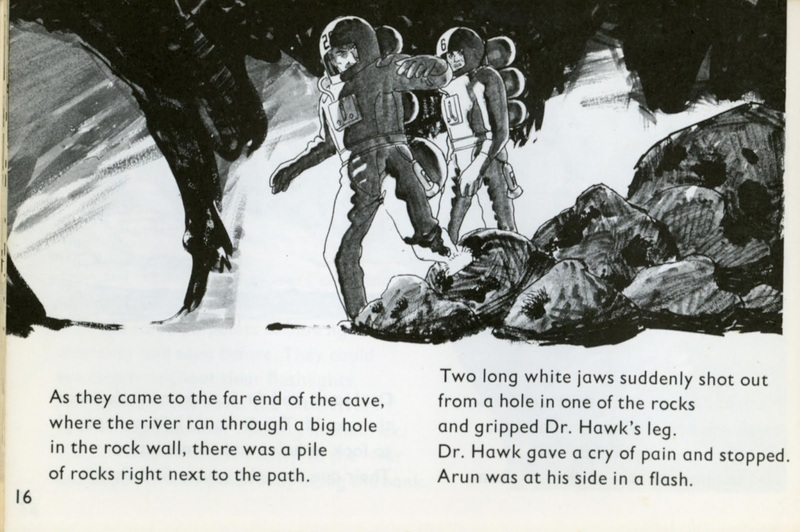 But it does have an underground adventure with flame guns so your mileage may vary. I really like this speech about why we explore. The next in the "Adventures In Space" series is Journey to Mars. First a journey to the Moon where they will launch for Mars. We get a nice tour of the Moon Base as the astronaut gets ready for the next stage of his journey. 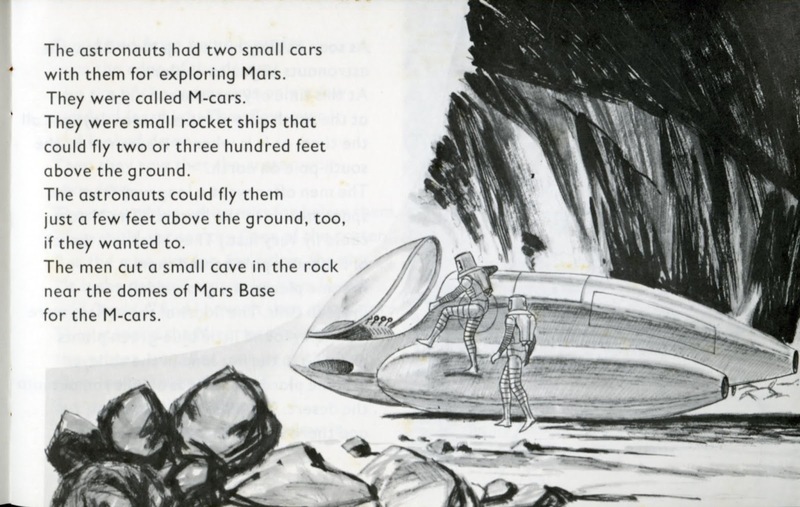 A nice short description of their Mars Base. 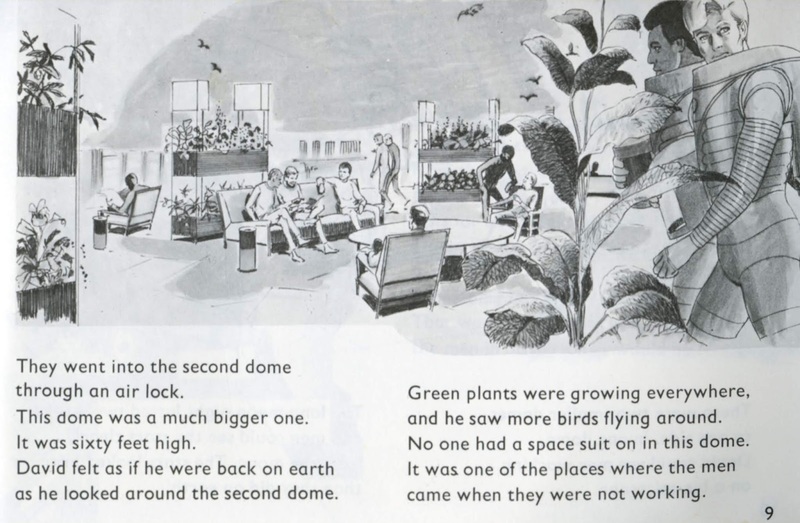 It has a greenhouse and uses birds to monitor the oxygen supply. 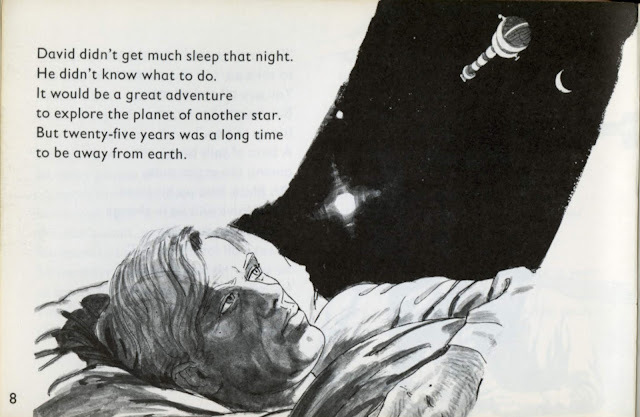 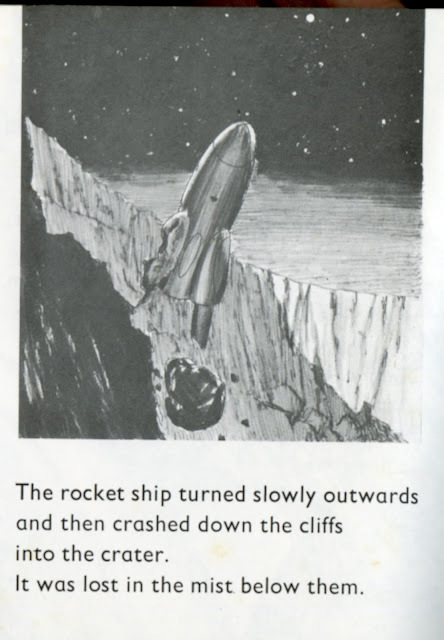 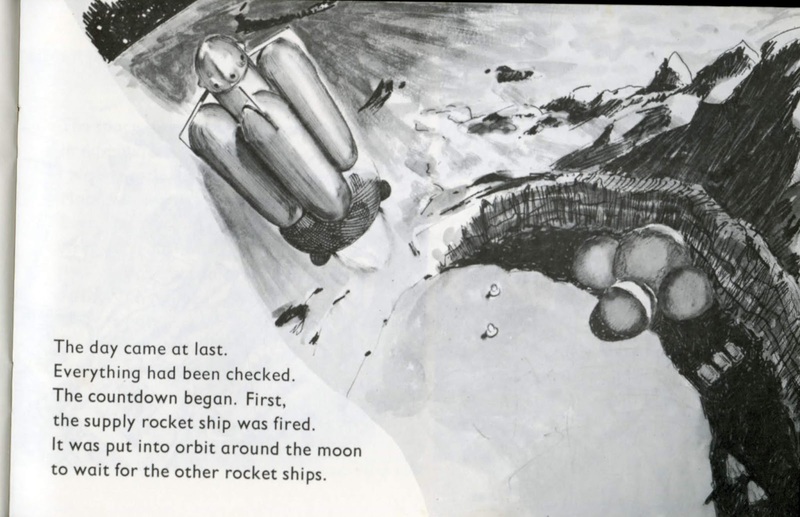 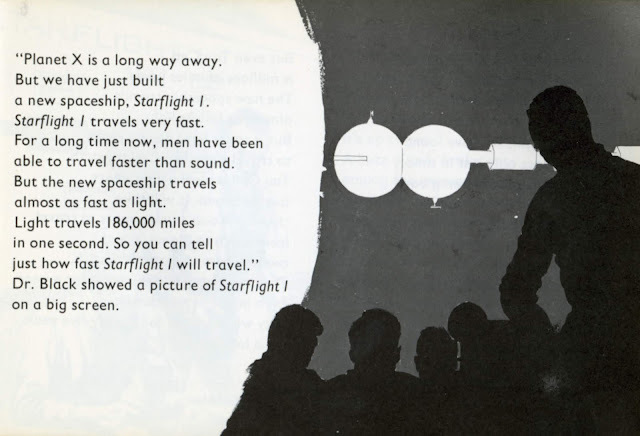 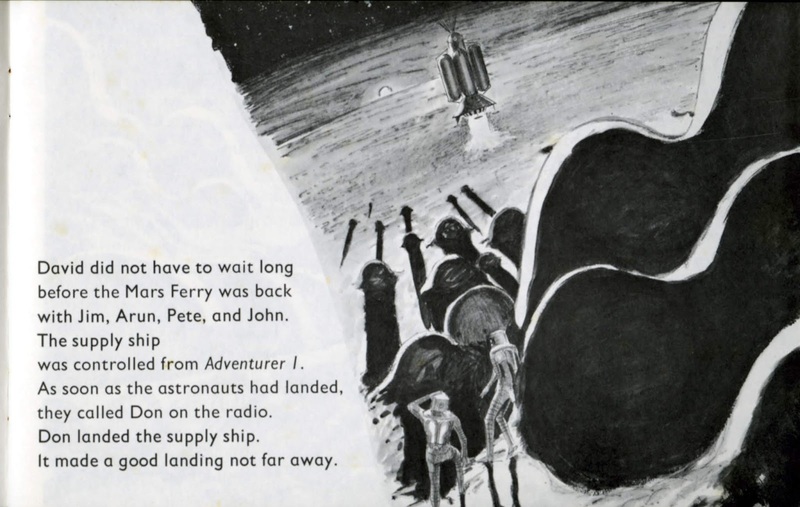 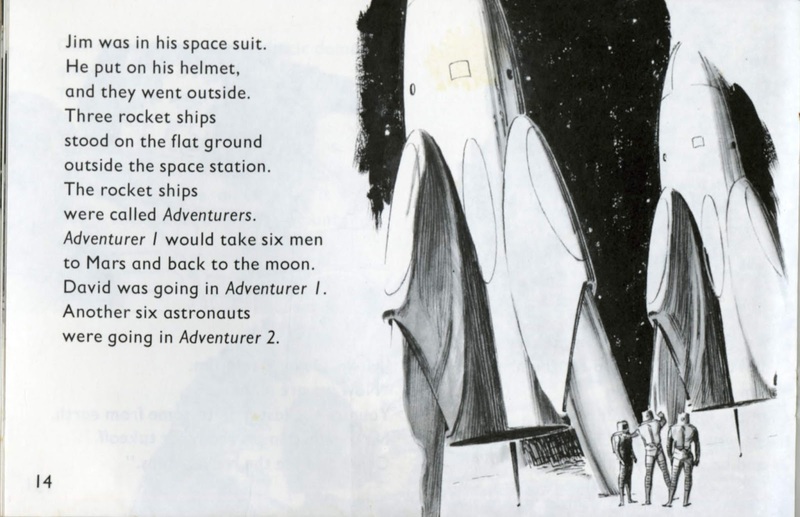 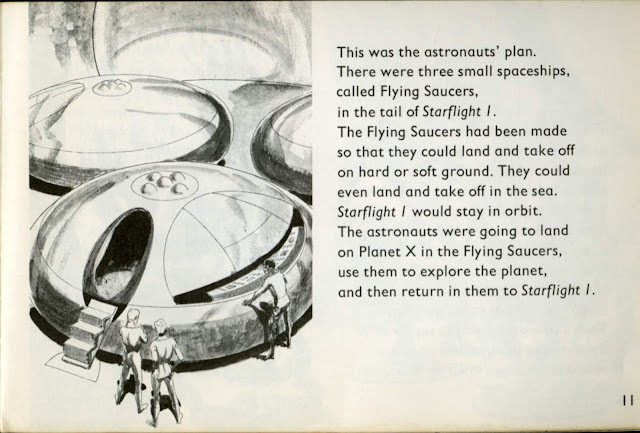 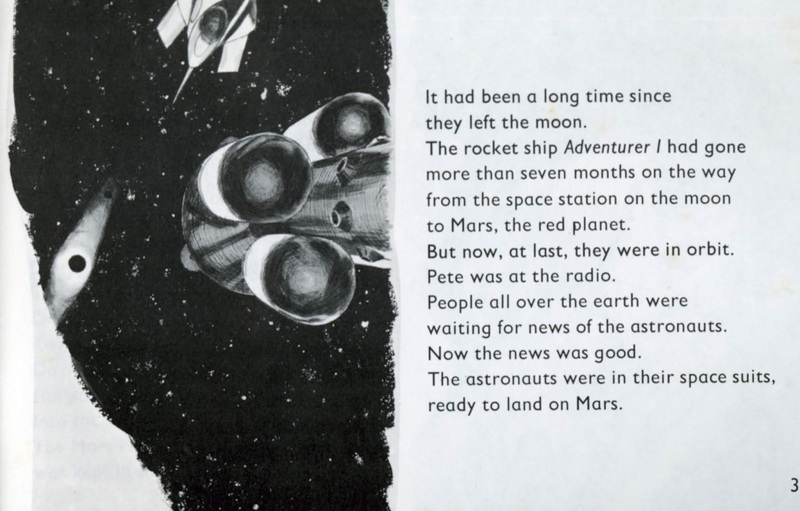 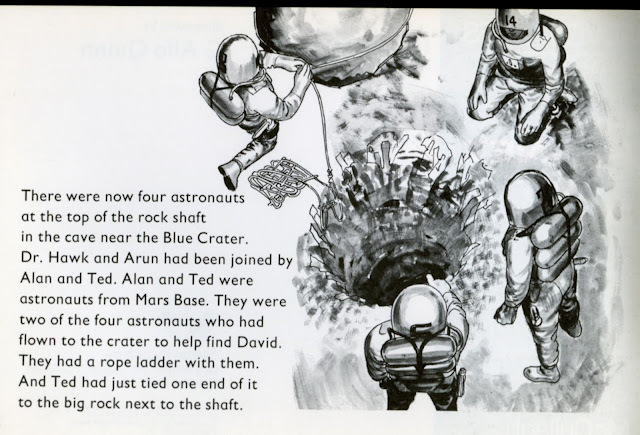 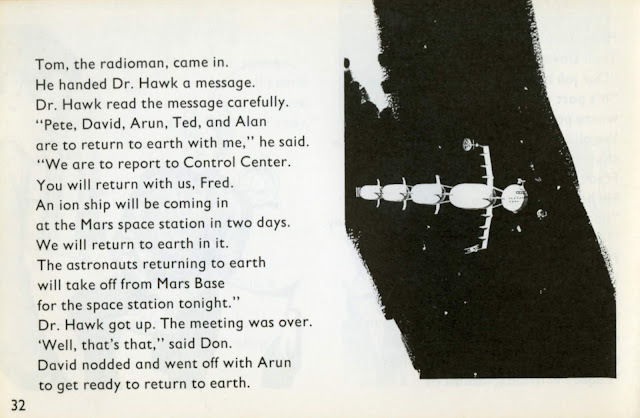 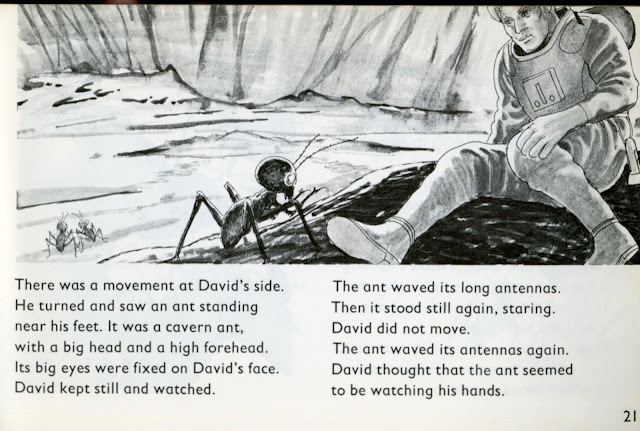 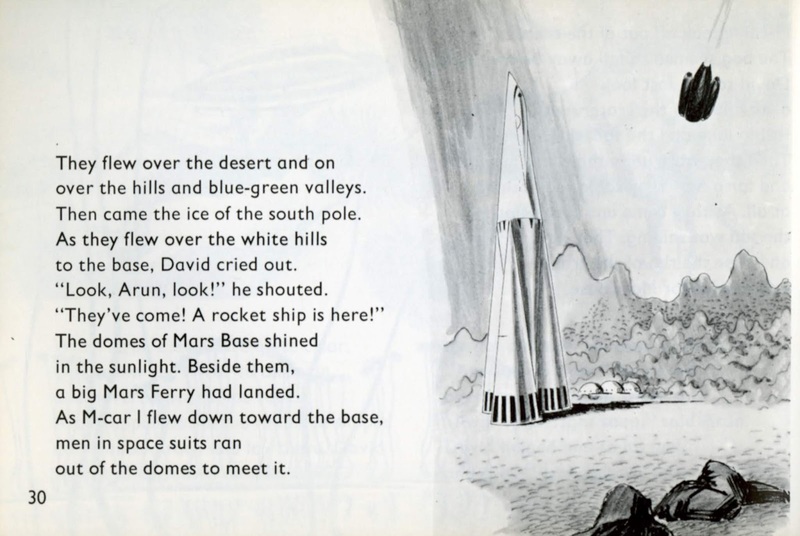 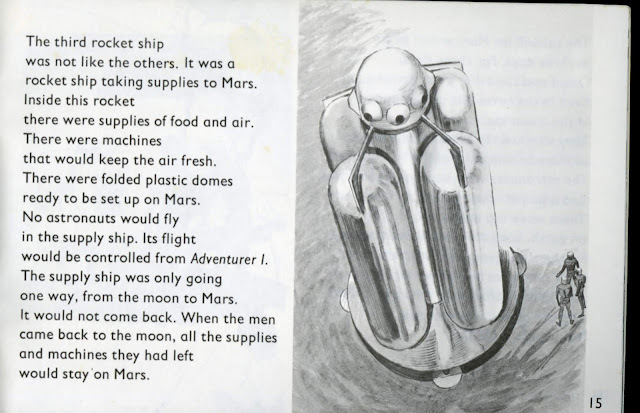 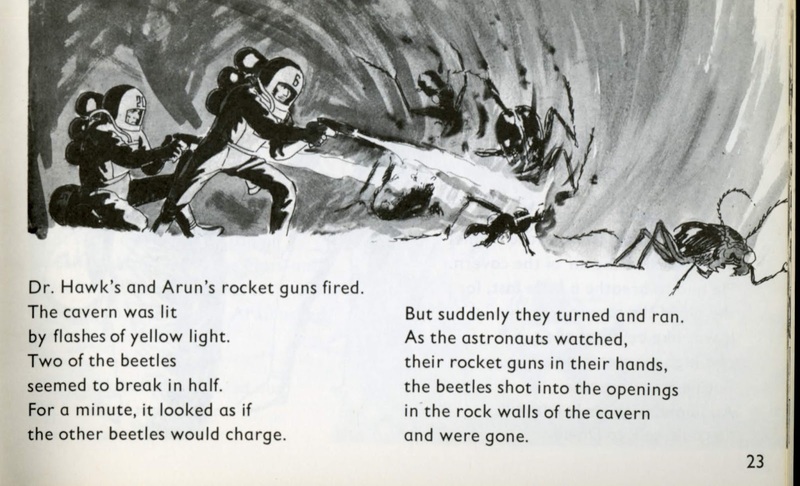 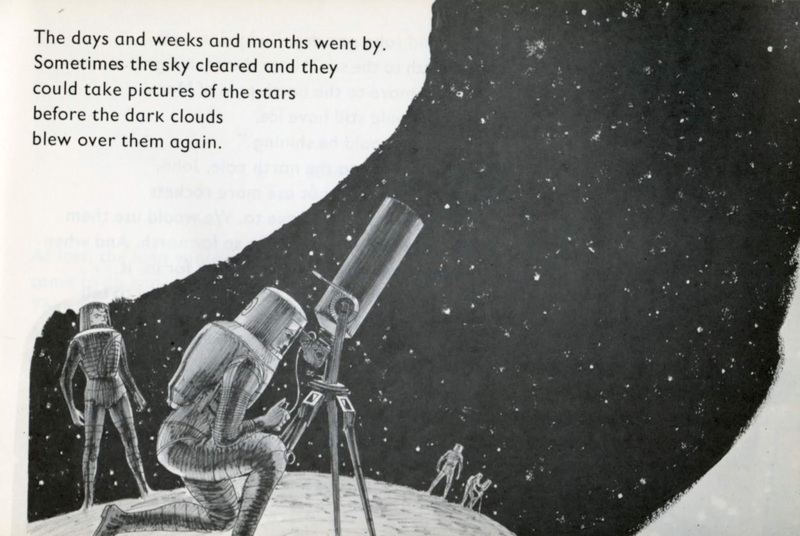 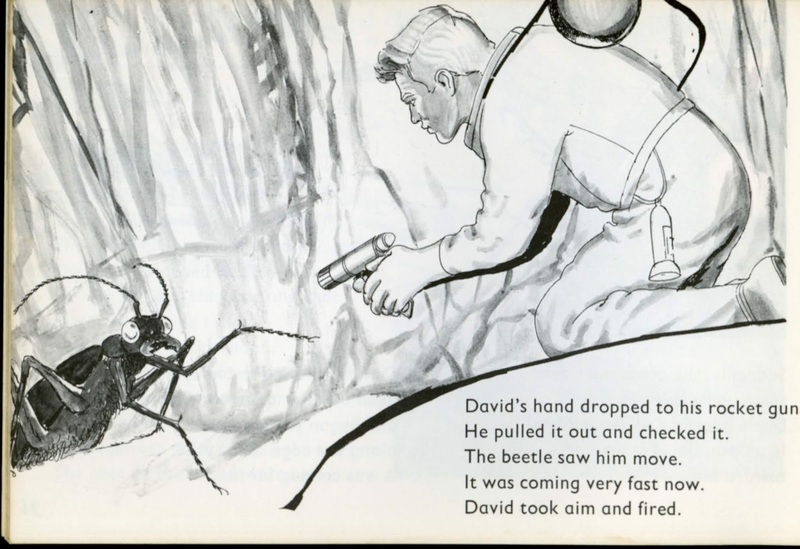 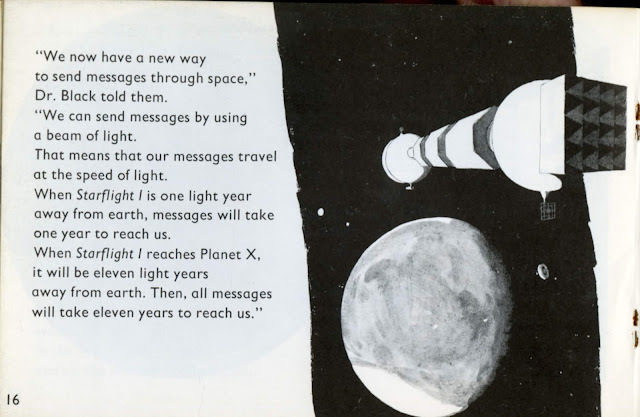 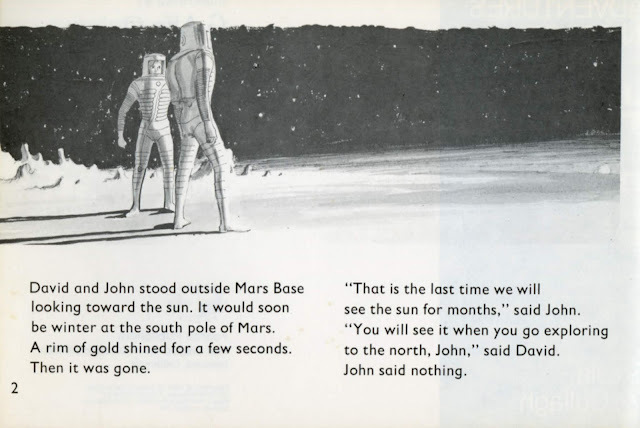 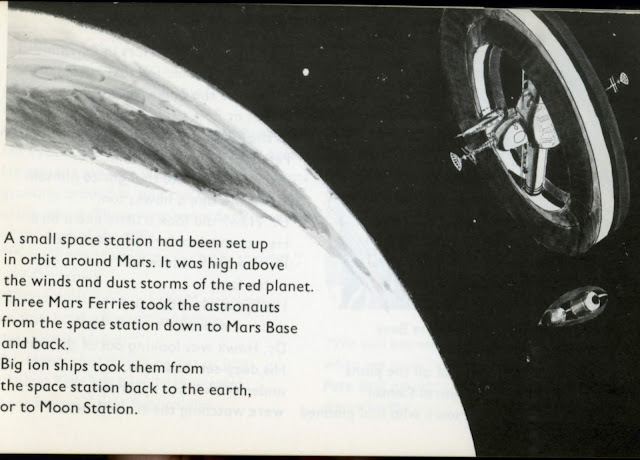 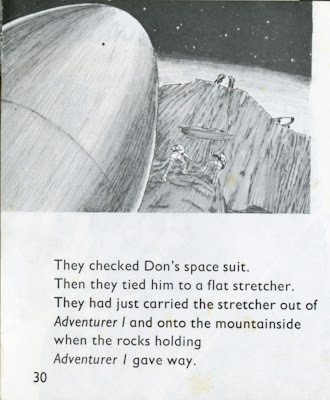 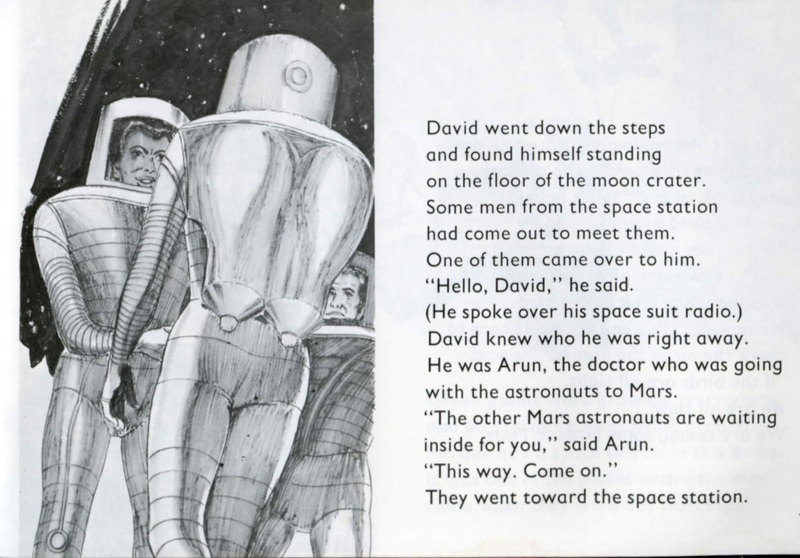 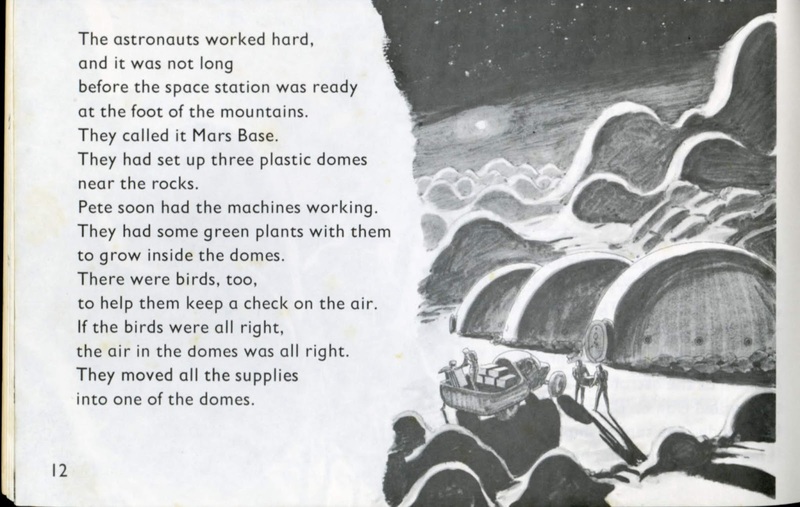 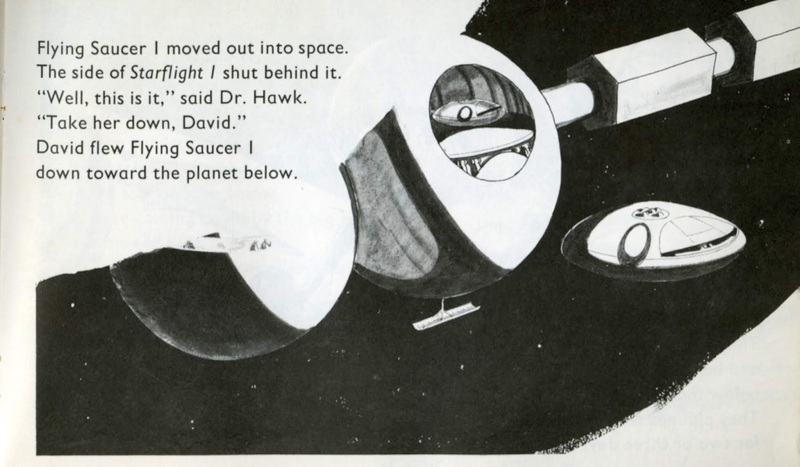 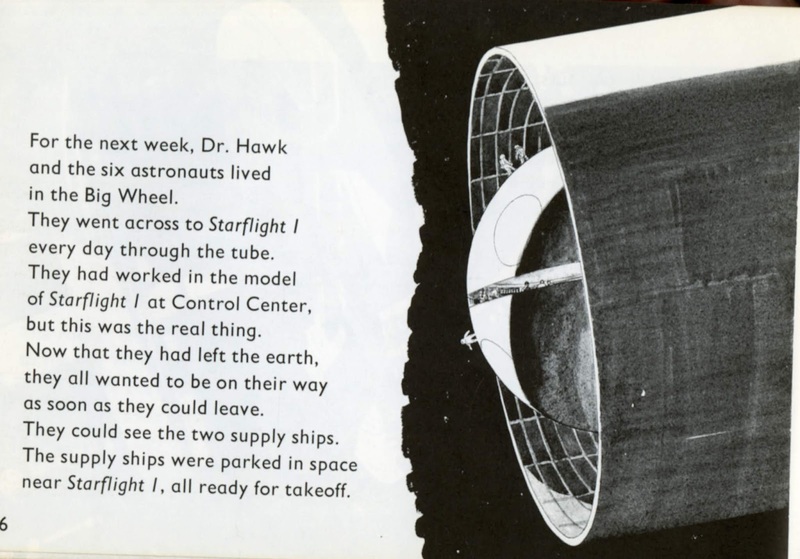 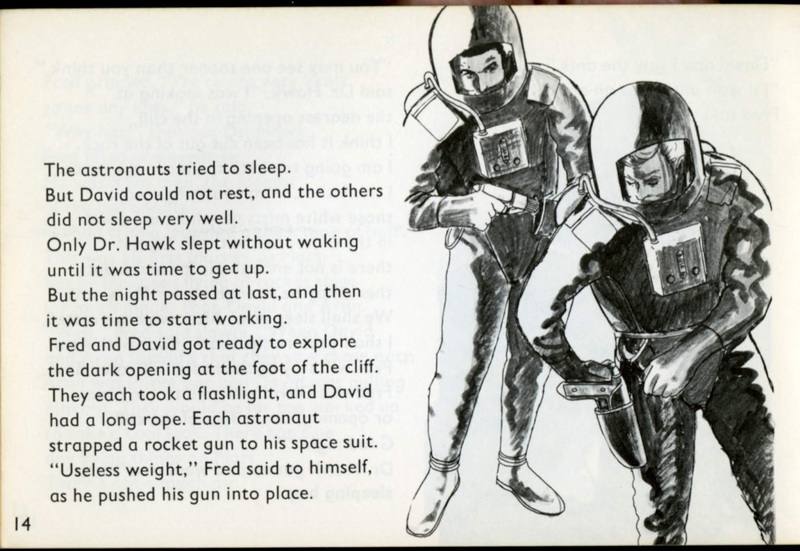 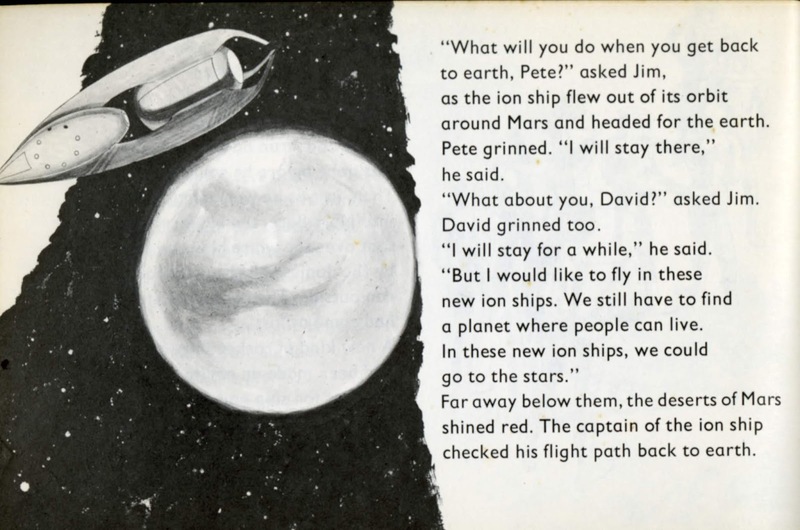 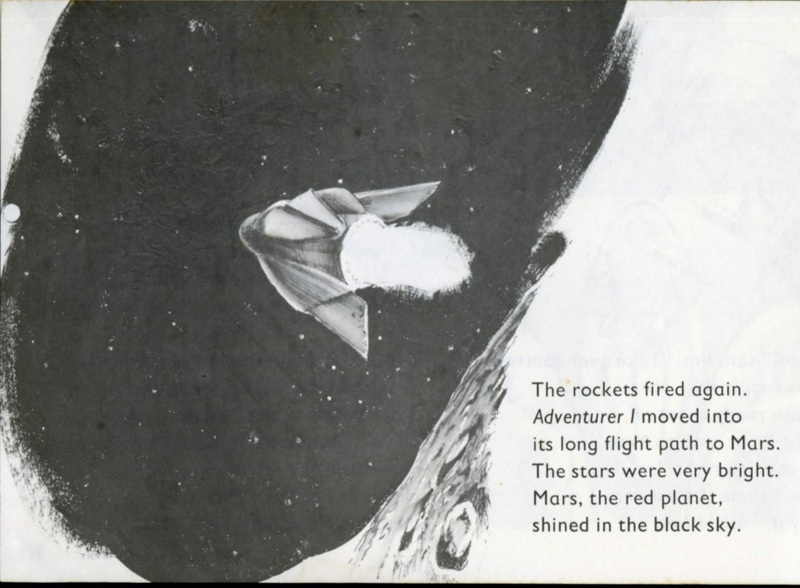 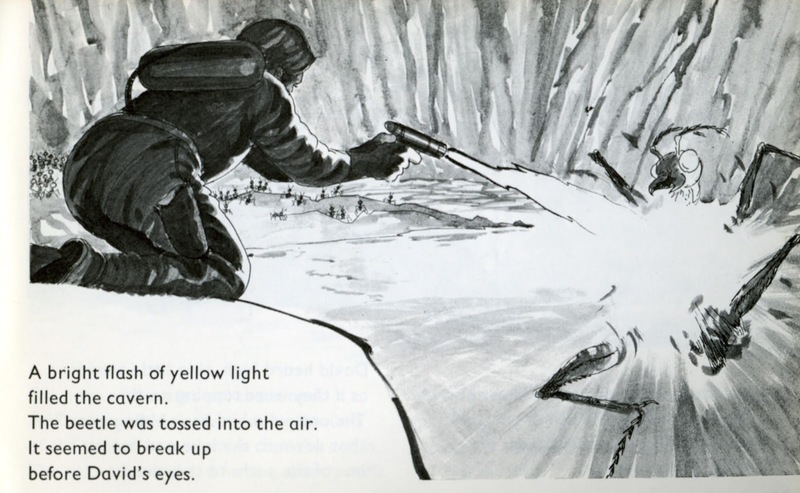 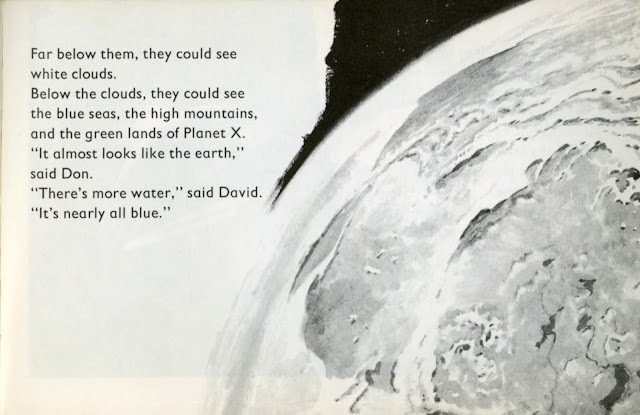 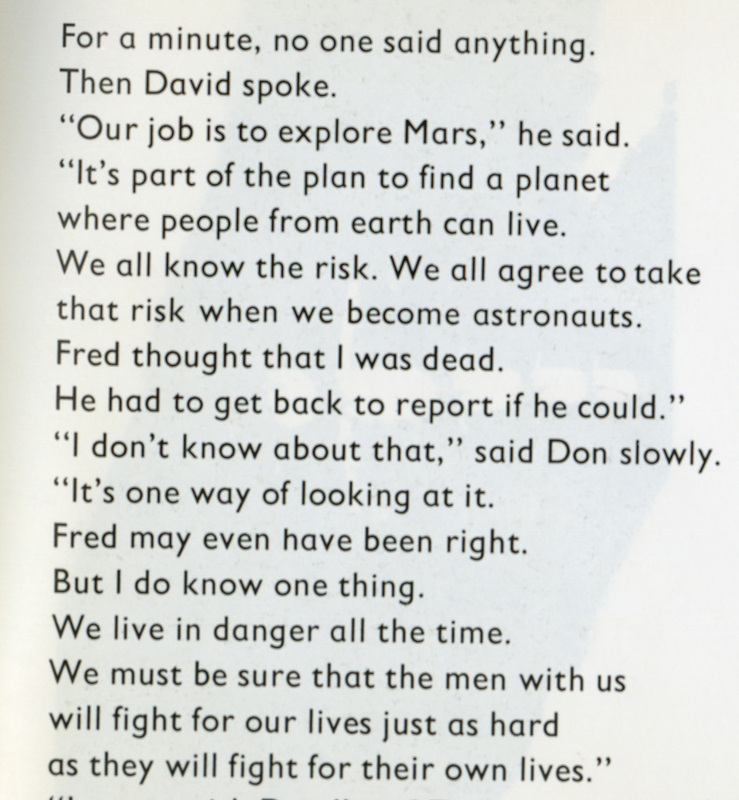 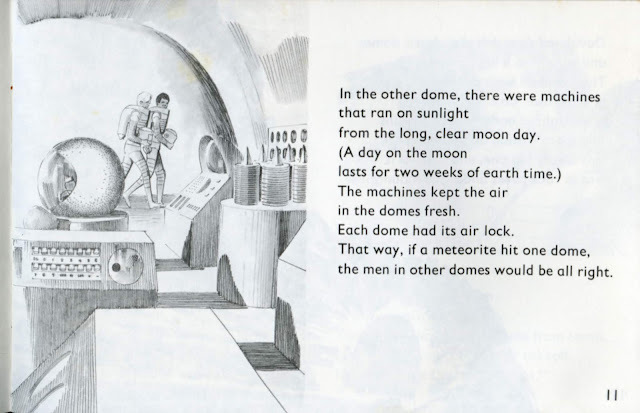 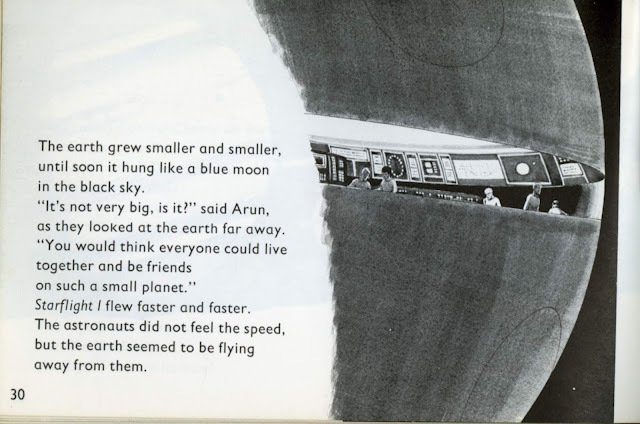 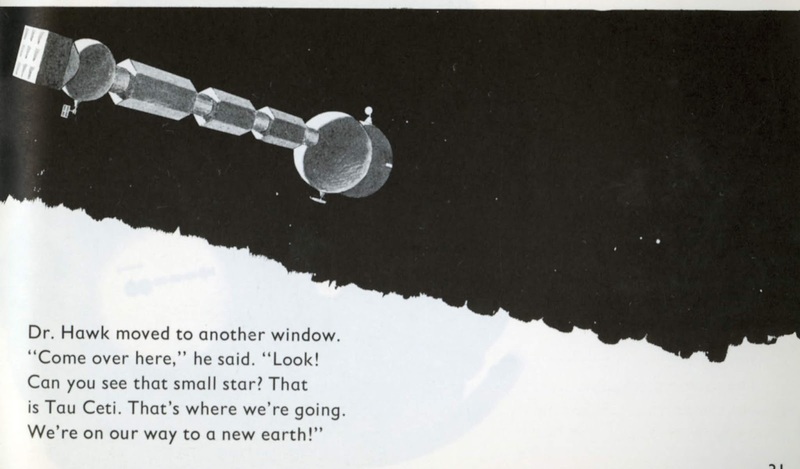 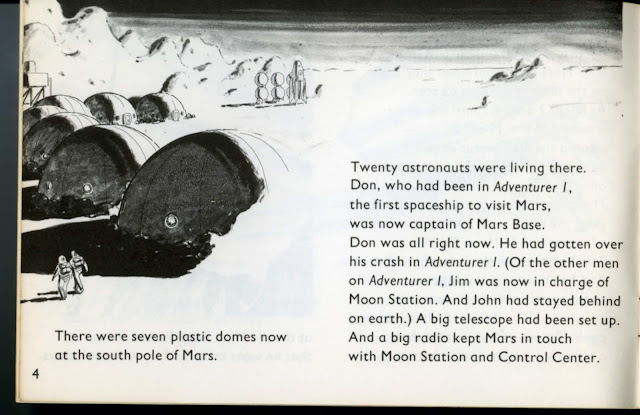 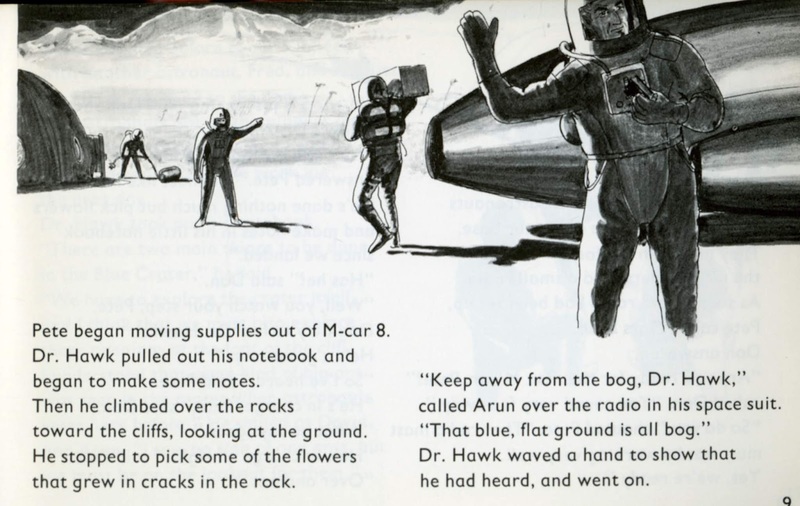 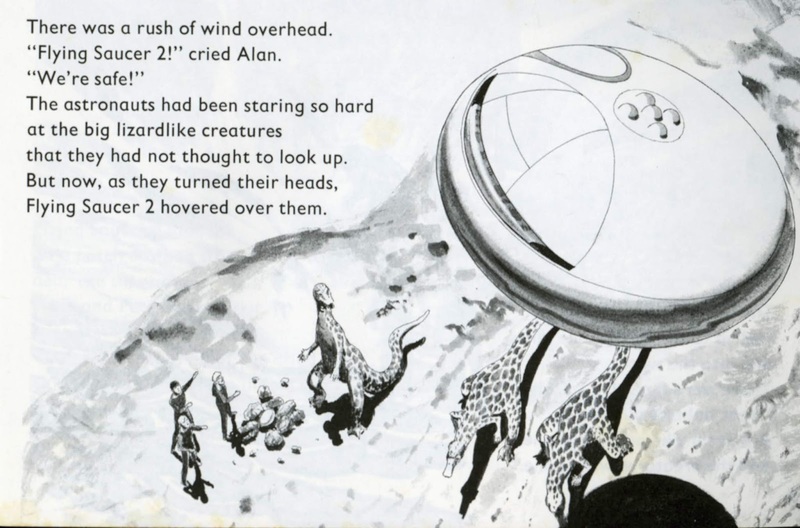 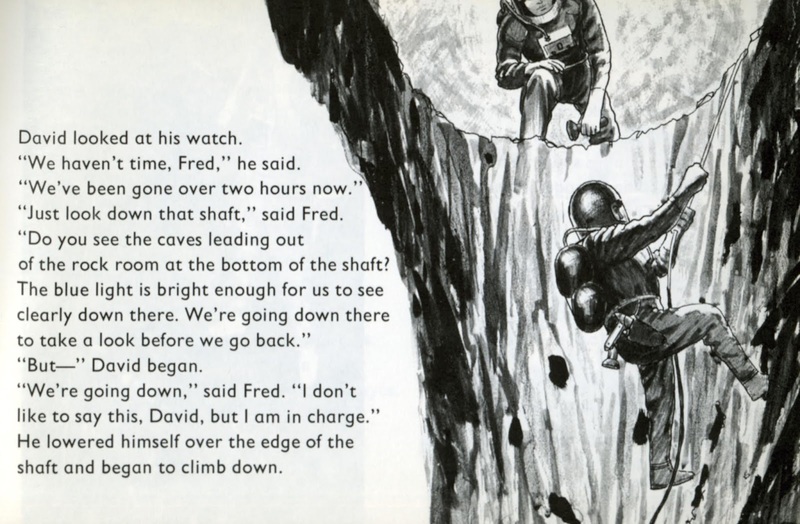 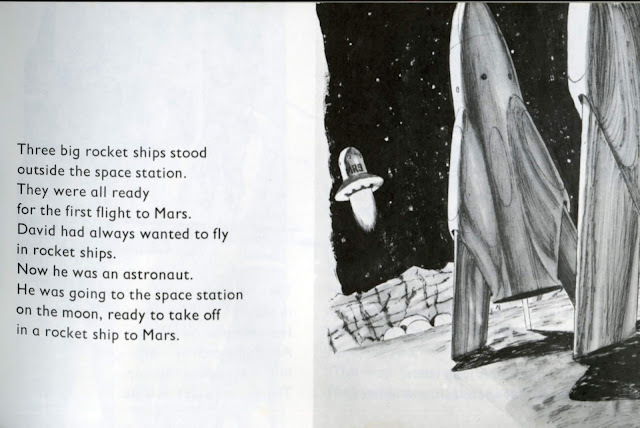 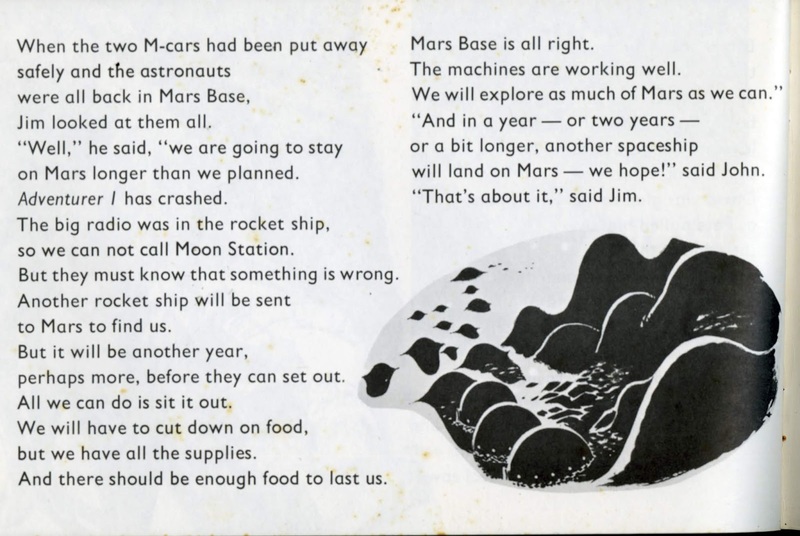 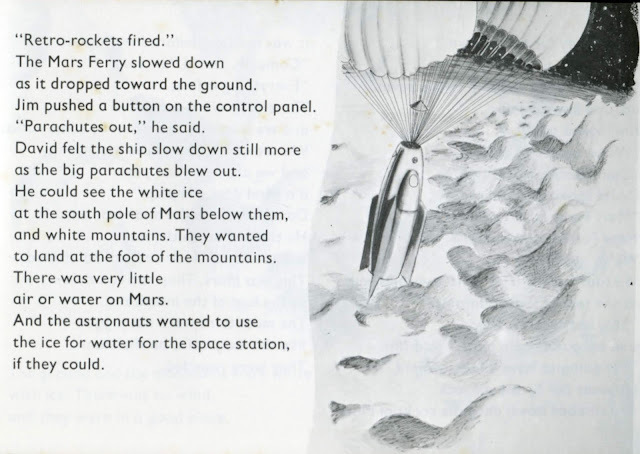 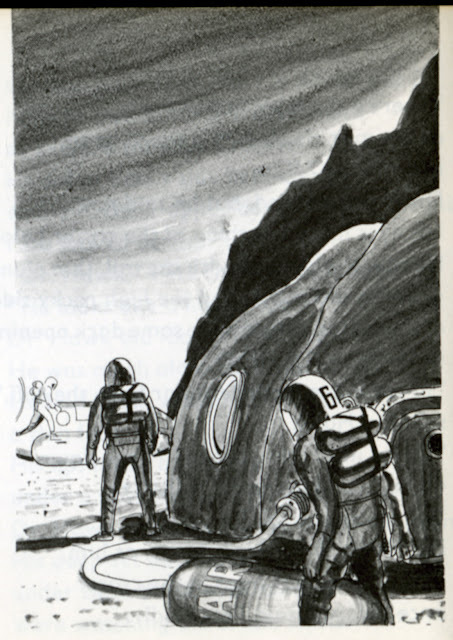 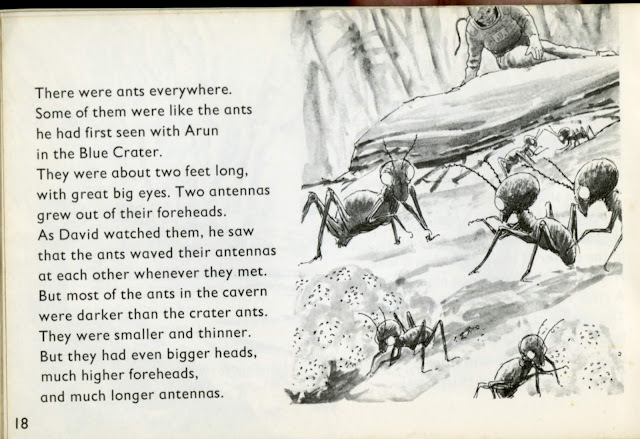 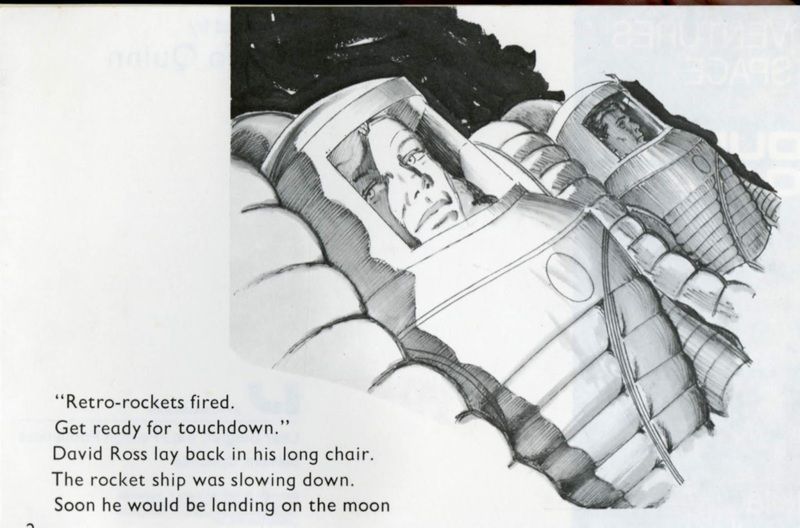 This ends up getting pretty dark for a children's story about spaceflight. 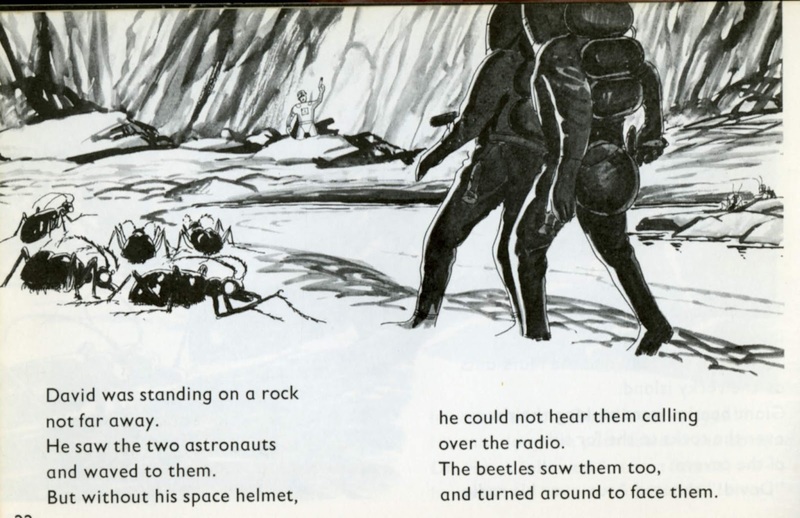 The predecessor to "The Martian". 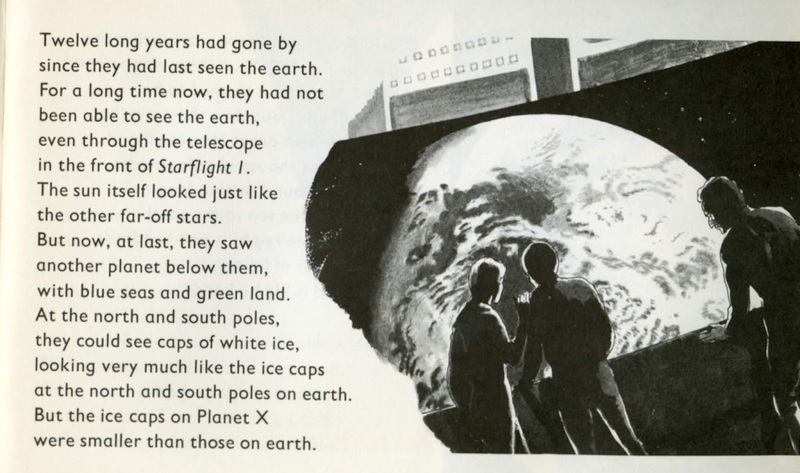 If there seemed to be pages missing. It is because I selected pages to tell the 3 book story so it jumps a little.